The remittance processor expects to get listed in 2021. 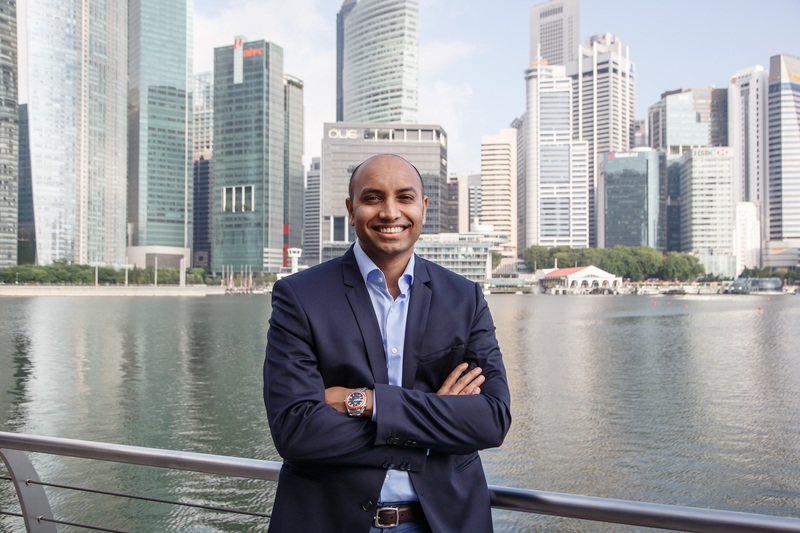 A Singapore-based remittance startup, Instant Remittance (InstaReM), recently announced the first close of its US$45 million Series C round at 20 million, bringing its total funding raised to over 38 million. The round was led by MDI Ventures (Indonesian Telkom’s venture capital arm), joined by Beacon (a subsidiary of Thailand’s Kasikorn Bank), and a number of other investors like Vertex Ventures, GSR Rocket Internet Ventures, and SBI-FMO Fund. The company said in a press statement that it expects to close its C round in January 2019. The funding for this round will be used towards expansion to new markets – including Indonesia – and the launch of a new consumer and enterprise product in early 2019. To InstaReM, Indonesia is a promising market as many locals work overseas or send their children to study abroad, and they are always looking for an efficient and affordable remittance service to use. The company is being confident with their expansion to the country. “Indonesia is one of the most vibrant economies and presents itself with an abundance of opportunity on P2P and B2B payment solutions, both of which InstaReM differentiates itself in,” InstaReM’s Co-founder & CEO Prajit Nanu told KrASIA. Prajit Nanu, co-founder and CEO. “Not only the country is a large recipient of remittance due to its overseas workforce, but it also has upwardly mobile class of people who are sending their children for education to Western and other developed countries. Similarly, Indonesia has strong trade and commerce roots and an important member of ASEAN. Therefore, Indonesia is at the core of our strategy of having a stronghold in Asia,” Nanu continued. The company is now in the process of obtaining a license from Bank Indonesia (BI). “We are expecting a remittance license from Bank Indonesia by end of 2018. We have a strong partner with us in Telkom, and once we receive the license, we’ll be quick to roll out our remittance product for Indonesian customers,” said Nanu. Since InstaReM is listed on MDI Ventures’ portfolio, the company has made a strategic collaboration with various Telkom business units to further enhance InstaReM’s distribution and outreach across the country. “Telkom has an overall customer database of 170 million across the archipelago, which would strategically help InstaReM setting up its footprints in Indonesia,” Nanu continued. In line with Nanu’s statement, MDI Ventures agreed that InstaReM would add a new flair for the fintech industry in Indonesia. Moreover, the locals would benefit from InstaReM’s services as it offers a low exchange rate. In addition, InstaReM also serves local businesses looking to conduct trade with international parties, so it is expected to support Indonesia’s international trade export. “Indonesia’s fintech sector experiencing peak levels of growth so we believe that it is the ideal time for fintech companies like InstaReM to focus on expansion throughout the country. As part of our thesis at MDI Ventures, we are keen to support InstaReM with their expansion in Indonesia,” said Nicko Widjaja, CEO of MDI Ventures, in an official statement. InstaReM works with banks to reduce transfer costs abroad by offering ‘Transferwise for corporate’ service. They use a network of middle banks that have traded foreign currency. Users are able to transfer funds within 24 hours in Asia, which is faster compared to the average two-to-four days transfer by banks. There are currently 133 remittance operators that are listed on Bank Indonesia. However, Prajit Nanu believes that his company would still get a spotlight in Indonesia. “Our biggest differentiation from other players is due to our established global reach in payment rails as a result of our 8 existing licenses. This gives us the ability to directly send funds from over 40 countries and into over 60 countries. Our scale both in retail as well corporate volumes allows us to be market leaders in the markets we operate in,” he concluded.